Most of the users have been waiting for this feature to be pop up on WhatsApp, and now the most-used IM has added it to its catalog. In the latest WhatsApp update for Android and iOS versions, you will now get the document sharing option (PDF sharing). The feature is visible in the most recent builds available via Google Play and the App Store - Android v2.12.453 and iOS v2.12.4. 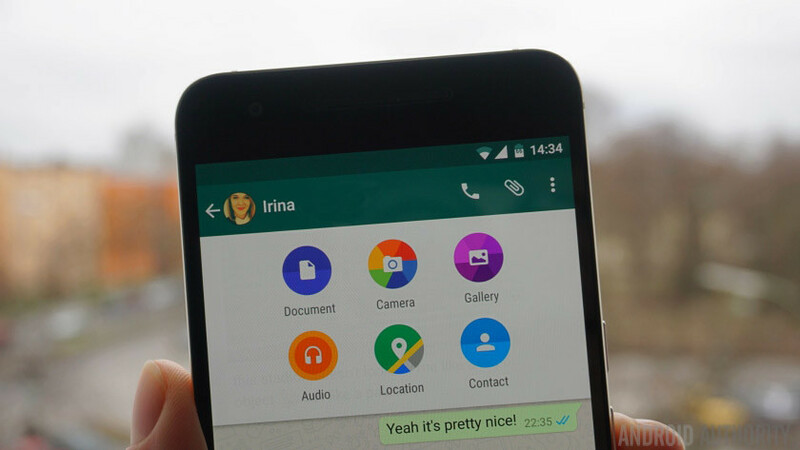 WhatsApp has also introduced a bunch of other features with the updates. On Android, the WhatsApp v2.12.453 that's available from Google Play for some users shows a 'Document' option in the Attachments section (seen above). Not all users with the same app version are able to view the option at the moment. However, most users on the latest app version available from the company site - v2.12.489 - are able to see the option, indicating a server-side update. For now, users can only send pdf files but the file support is likely to expand in the future. In the meanwhile, WhatsApp for iOS v2.12.4 lets users share photos or videos from other apps such as Google Drive, Dropbox, or Microsoft OneDrive. Users would just need to open "Photo/Video Library" and tap "Choose from another app..." to share files. In addition, users can pick from a set of solid colors for chat background. Besides an improved design for browsing photos and videos, iOS users can even zoom in on videos while they are playing. Another key feature added in the WhatsApp iOS app update is that users can now see the "blue ticks" (indicating that the message has been read by the other party) directly from the main WhatsApp chat list. Previously, one needed to tap on the chat to open the thread and see if the receiver has read the messages or not. The updated app is available to download from App Store.